HomeBlogHome DecorNevada Desk by Alberto Danese for Cattelan Italia. 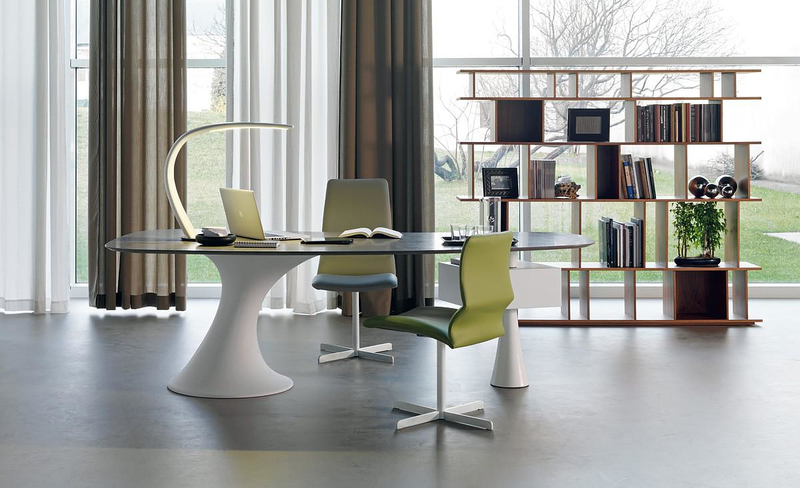 Futuristic design meets the beauty of the organic form at the sleek, yet sturdy Nevada Desk designed by Alberto Danese for Cattelan Italia. The Italian company is well known for their luxurious furniture designs all produced with the finest of materials. Cattelan Italia’s product catalog is always a point of reference to design furniture, and the Nevada Desk is not an exception. A uniquely futuristic design with materials carefully chosen for their feel that is inviting for the user to touch, this design by Alberto Danese is most definitely an iconic piece. Smooth, lean curves that look like parts of a spaceship or reversed “trumpets” support the Nevada desk. A “clean” cube containing drawers is penetrated by one of the posts and revolves around its axis. 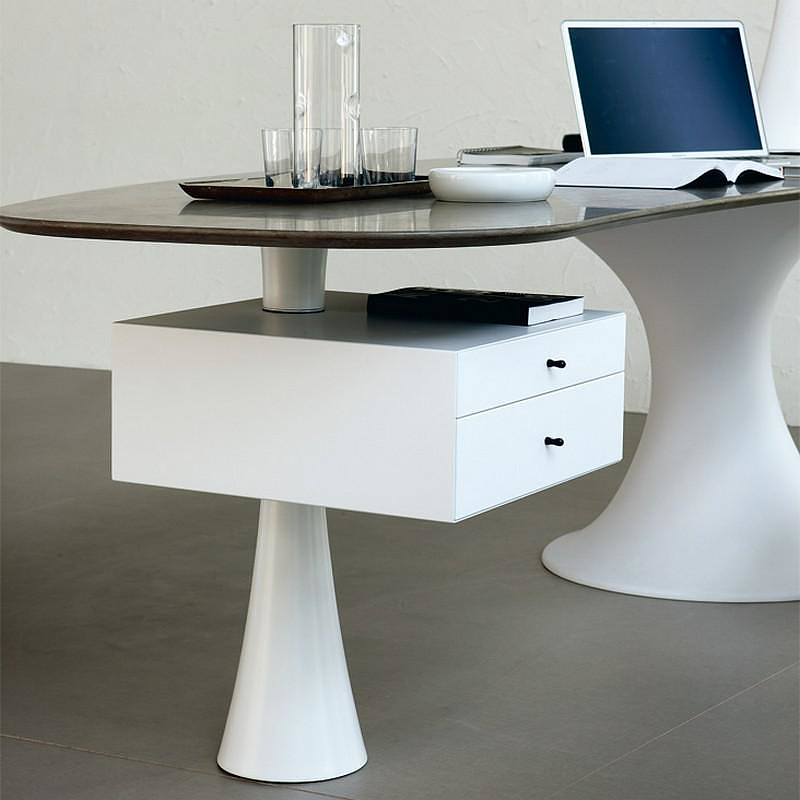 The supporting parts’ design contradicts with the desk top, which has an organic bean-like shape and is made of marble. The design combines lean, white-lacquered cristalplant surfaces topped by a natural marble slab with natural colors and veins. This is exactly what makes the Nevada desk truly unique. The supporting base of the Nevada desk is made of cristalplant. Cristalplant is a patented material which consists of a high percentage of quality natural mineral charges and a lower percentage of high quality acrylic polymers. It is soft in touch, non-toxic, hypo allergic and 100 % recyclable with a similar feeling of natural stone. It is preferred by many prestigious designers worldwide. Of course, Nevada desk’s best feature is the bean shaped marble top available in two marble types matte Ebano and white Carrara. A difficult choice, indeed! Cartesia Desk by NOSIGNER for COLORS.